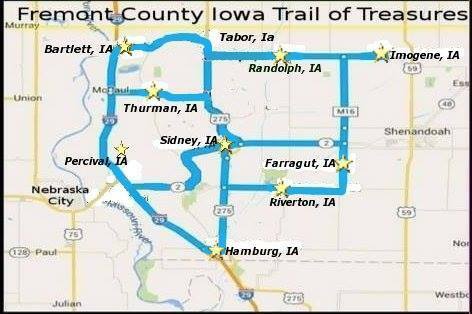 Make plans to join us for the 1st annual Fremont County, Iowa Trail of Treasures this coming weekend. Still time to sign up to be a vendor for our mall flea market until Thursday 5pm. Or plan to come and shop and bring a BIG truck!!!! As you can see Fremont County has lots of towns joining in and it will be a very fun 2 days. Finders Keepers is located at the junction of I-29 & Hwy 2 (click the above icon). The mall will be open early to match the flea market starting at 8am and close at regular time 7pm. Many of our dealers are having discounts to join in the festivities so make sure to stop on by for fun, food and fabulous antique finds!!!! !